Stryker is one of the world’s leading medical technology companies which achievements contributed greatly to healthcare and to well being. 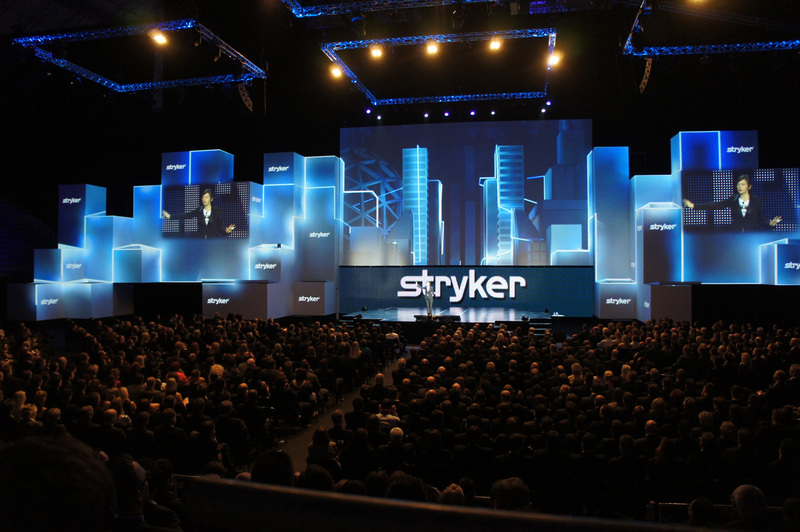 In 2011, in Barcelona, Stryker held a worldwide private conference. For one week the prestigious Palau St. Jordi has been the set of talks, team building events and fun. Mou Factory has been responsible, with Giochi Di Luce, of the creation of the stage design and its huge projection mapping. 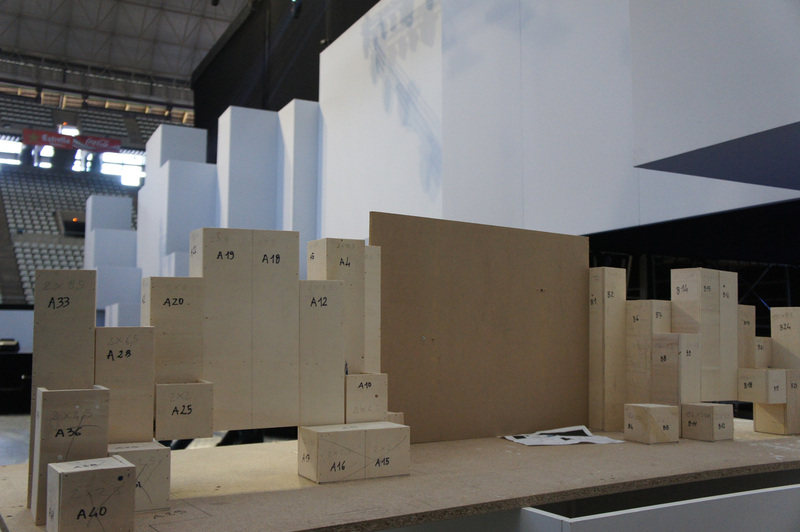 Starting from a 3d drawing, the stage has been built directly inside the venue. Its impressive size was 60 meters by 18 meters. Giochi di Luce used 11 projectors and a led screen to achieve the result. 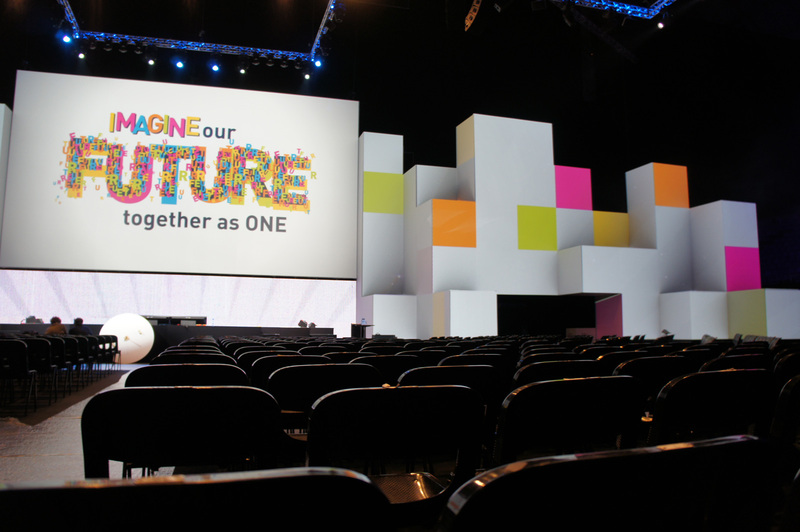 With a resolution of over 10K, we had to deliver a vast array of videos that covered the stage for more than 3 hours. Starting from a broad brief, we developed the concept starting with moodboards and storyboards. Because of the tight deadline (30 days), we had to move quickly in production. We had also to create more than 50 videos that showed the name of the winners of the company targets.